Representatives to the Maryknoll Fathers and Brothers 13th General Chapter held at the Maryknoll Mission Center in Ossining, New York, have elected the Maryknoll Society’s new leadership for a term of six years through 2020. Father Raymond J. Finch has been elected Maryknoll Superior General; Father Joseph M. Everson, III the Maryknoll Vicar General; Father Russell J. Feldmeier a Maryknoll Assistant General; and Father Thomas J. O’Brien also a Maryknoll Assistant General. The Maryknoll Society’s general council assumed office on November 3, 2015 to lead the approximately 350 Maryknoll priests and Maryknoll Brothers who currently serve in mission in 22 countries, including the United States. Every six years, the Maryknoll Fathers and Brothers convene a General Chapter to establish goals and policy for the future, and to select new leadership. Father Finch, who most recently served as Maryknoll’s assistant regional superior and regional superior in Latin America, was selected to a second term as Maryknoll Superior General. Father Finch first served in that role after the 10th General Chapter of the Maryknoll Society from 1996 to 2002. Raymond Joseph Finch was born in Brooklyn, New York, on October 13, 1948. He attended St. Thomas Aquinas Grammar School and graduated from Bishop Ford High School, which was named in honor of a Maryknoll priest who was imprisoned and died in China. Father Finch entered Maryknoll during September 1966. He holds a bachelor’s degree in psychology from the University of Illinois, a master’s degree in psychology from the New School for Social Research of New York City and a Master of Divinity degree from the Maryknoll School of Theology. Father Finch was ordained on May 22, 1976 at Maryknoll, New York. He served in Peru for 23 years, mostly working with the Aymara indigenous people who live in the southern Andean highlands. Father Finch was placed in charge of a pre-seminary program and later he became rector of the Regional Major Seminary in the Lake Titicaca region of Peru's Altiplano. His work with Andean Pastoral Institute (IPA), founded by the bishops of the southern Andes to train priests, religious and laity as pastoral agents among the Aymara and Quechua, included pastoral research and publishing. Father Finch was appointed Assistant Regional Superior of the Peru Region during October 1983 and he was elected Regional Superior of the Peru Region effective October 1, 1989. Father Finch was elected Maryknoll Superior General during the Society's 10th General Chapter meeting in Hong Kong during 1996. He served in this position until 2002, and then he was assigned to Maryknoll’s Initial Formation and Education Program in Chicago. During this time, he received a master’s degree in pastoral counseling from Loyola University. Father Finch was assigned to the Latin America Region during January 2006 to work in La Paz, Bolivia. He was appointed First Assistant Regional Superior of the Latin America Region as of October 2007 for a three-year term. Most recently, he has served as director of the Maryknoll Center for Mission in Latin America in Cochabamba, Bolivia. On October 1, 2013, he was appointed to a three-year term as Regional Superior of the Latin America Region. Joseph Martin Everson, III, was born on February 9, 1962 in San Francisco, California. He attended St. Gabriel’s Grammar School and he graduated from St. Ignatius College Preparatory during 1980. After high school, Father Everson attended the University of California at Berkeley, where he received a bachelor’s degree in history during 1984. He continued his graduate studies at the University of Texas School of Law, where he received a Doctorate in Jurisprudence and served as editor of the Texas Law Review. Upon completion of his studies, Father Everson clerked for the Honorable Jesse E. Eschbach on the United States Court of Appeals in Florida for the Seventh Circuit. During 1989, he then moved to New York City to practice corporate law. Although he had considered his calling to the priesthood since childhood, it was while employed as an attorney that Father Everson first contacted Maryknoll. He had been attracted to Maryknoll through its magazine and the stories of the missioners working together to preach the Gospel by word and deed. 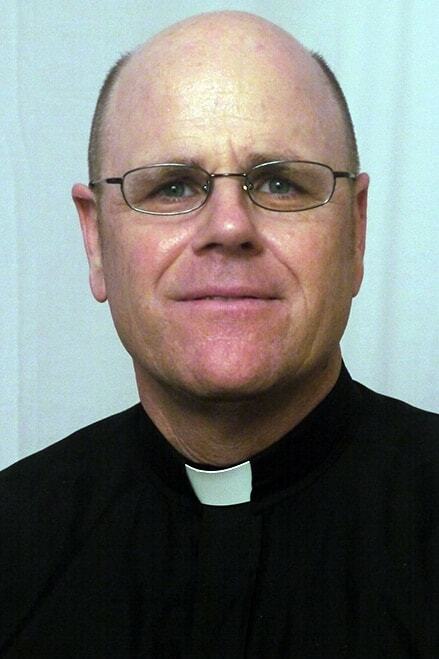 Father Joe Everson III, M.M. On August 15, 1992, Father Everson entered Maryknoll and spent the first year studying philosophy and theology while participating in programs of spiritual and personal formation. During the summer of 1993, he moved to Chicago to study theology at Catholic Theological Union. He also served in ministry at St. Thaddeus Grammar School and at a homeless shelter. After studying Spanish for five months at the Maryknoll Language Institute in Cochabamba, Bolivia, Father Everson spent the next three years with the Aymara people on the Peruvian Altiplano as part of his mission training. In Peru, he performed liturgical services, preached and facilitated prayer groups. He also prepared adults and children from the rural communities for the sacraments. Father Everson was ordained on June 12, 1999 at Maryknoll, New York. He was assigned later that year to the Andean Region of Peru. During 2010, he received his licentiate degree in canon law from Catholic University of America. Most recently, Father Everson was assigned to the United States Region for a three-year term, effective January 1, 2014, to support the Maryknoll Office of Society Personnel. Russell Joseph Feldmeier was born on November 7, 1945 in Boston, Massachusetts. 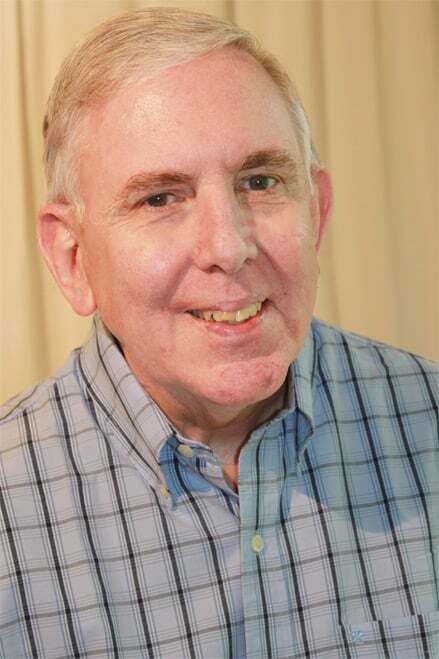 His family moved first to New Jersey, then to Minnesota and finally to Pennsylvania, where he was a 1963 graduate of Bishop Kenrick High School in Norristown. Father Feldmeier attended St. Thomas College in St. Paul, Minnesota, majoring in philosophy and studying classical languages. After receiving a bachelor’s degree in philosophy, he attended the University of Notre Dame and earned a master’s degree in philosophy. Father Feldmeier served in the Peace Corps for six and one-half years, teaching English in the Teachers College of Kyungpook National University in Taegu, South Korea, and then serving as a training officer in Korea. During this time, Father Feldmeier received his calling to missionary priesthood. Father Feldmeier entered Maryknoll during November 1975. He received a Master of Divinity degree from the Maryknoll School of Theology and completed the Maryknoll Overseas Training Program in Korea. 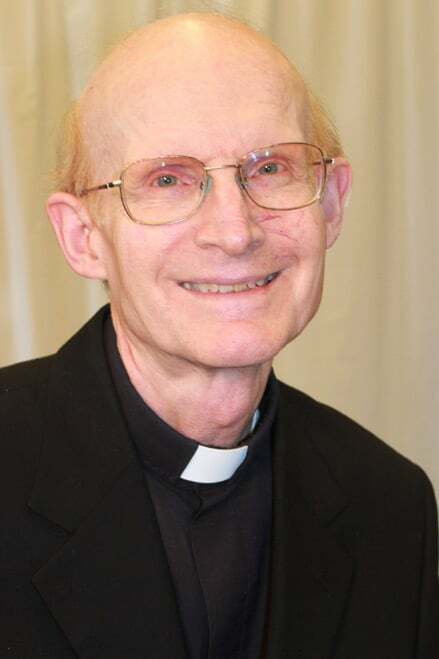 He was ordained at Maryknoll, New York, on May 17, 1980 and assigned to the Korea Region, where he joined a Maryknoll ecclesial team of priests, sisters and lay missioners that engaged in ministry with workers and the urban poor. From 1989 until 1994, Father Feldmeier was assigned to Maryknoll’s U.S. 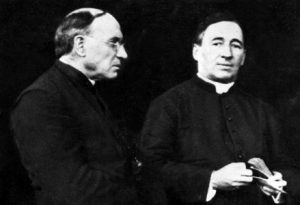 Region and its priest formation staff in Chicago. He then returned to Korea to serve the people with a focus on collaborative ministry and spiritual growth of sisters, priests and lay people. Thomas Joseph O'Brien was born in The Bronx, New York, on April 8, 1945. He attended Our Lady of Angels Elementary School and Fordham Prep High School. After receiving his bachelor’s degree from Fordham University, he entered the Maryknoll Seminary during September 1967. Father O’Brien completed his overseas training in the Maryknoll Mission Region of Chile and he was ordained on May 18, 1974 at Maryknoll, New York. In the Philippines from 1975 to 1978, Father O’Brien worked in San Isidro Parish, Kapalong, North Davao Province. He was one of the founders of the Alternate Resource Center, a social research agency in Davao City, and he served as its first director. He also was involved in community development work among the urban poor of the area and in human rights advocacy during a troubled period of martial law. From 1981 to 1986, Father O'Brien was the area coordinator of Maryknoll's Asia-Pacific Area. He was one of the founders of the Philippine International Forum, a national network of expatriate missioners and volunteers who engaged in international solidarity efforts on behalf of the Filipino people. Father O'Brien returned to the U.S. during 1990 to serve a five-year term in Maryknoll's Justice and Peace Office located in Washington, DC. As the office’s associate director, he delivered testimony to the Foreign Operations Subcommittee of the U.S. Senate on "United States Policy toward the Philippines." Father O'Brien then served as the office’s director from 1992 until 1995, and during this time he worked with representatives of other church justice and peace agencies to establish the Asia Pacific Center for Justice and Peace, an ecumenical education and advocacy center in Washington. Father O’Brien was assigned to Maryknoll’s Thailand Unit during June 1995 as a member of the Maryknoll mission team in Vietnam. During the past 19 years in Vietnam, he has coordinated humanitarian projects, including vocational skills training centers for poor rural youth in several provinces along with treatment and rehabilitation programs for children with disabilities. Father O’Brien believes that while Maryknoll’s humanitarian programs have improved the lives of many Vietnamese, equally significant is that Maryknoll’s mission presence in the country has contributed to reconciliation between Vietnam and the United States. 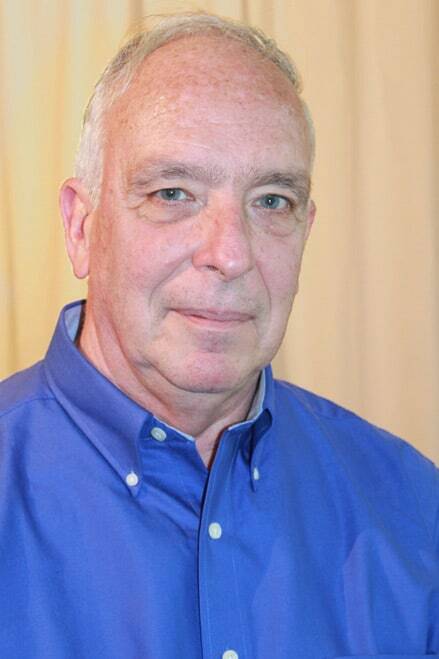 Father O'Brien was appointed superior of Maryknoll’s Asia South Local Group, effective February 2003, and then he served a three-year term from May 2004 until April 2007. During 2010, Father O'Brien again assumed this role following the death of another Maryknoll priest.